SimplyThick, LLC is facing over 20 different lawsuits from parents of children who have experienced serious injuries or death from the food thickening agent. These lawsuits claim that the infants were severely ill and/or died after experiencing necrotizing enterocolitis (NEC). SimplyThick was placed on the market in 2001 but since 2004, researchers have been warning that there is a potential link between the food thickening product, originally given to babies in their formula to prevent them from spitting up, and NEC. After receiving at least 15 cases of NEC and at least two deaths among infants who had been fed the product, the FDA issued a warning in May 2011 that SimplyThick should not be used with premature infants. An additional 22 new cases were reported after the initial warning and it was expanded in September 2012, indicating that the product should not be used by infants of any age due to the life-threatening side effects. Shortly after the warning, inspectors discovered that SimplyThick, LLC did not follow proper process that could help prevent potential bacterial contamination. Since its removal from the shelves in 2011, allegations have been made that the primary ingredient, Xantham gum, is likely the cause of the infections and that the company has failed to properly test it for potential health risks. 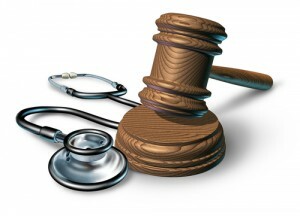 In these cases, there is also the possibility of medical negligence contributing to the injuries. There are a number of malpractice lawsuits alleging the failure to recognize and treat symptoms of necrotizing enterocolitis in a timely manner. Many of these children go to the ER and get sent home was being a grave risk. In these cases, you need an expert in neonatology who can testify that the child had signs and symptoms of necrotizing enterocolitis prior discharge or leaving the child’s pediatrician and that the doctors violated the standard of care because they should have identified those symptoms. The defenses to these claims are going to be the same as the defenses in the liability cases: the child was going to have problems anyway because they were born prematurely. But this is, in most cases, a relatively easy defense to beat. It’s common for infants, especially those born premature, to have some problems. We all get this. But our job is to take these babies and do everything in our power to make them safe. A product that is supposed to help your newborn i putting them at risk? That is just not tolerable. Have you or a loved one suffered these adverse side effects from this food thickening agent? If so, contact us to discuss your concerns at 1.800.553.8082 or online, here.